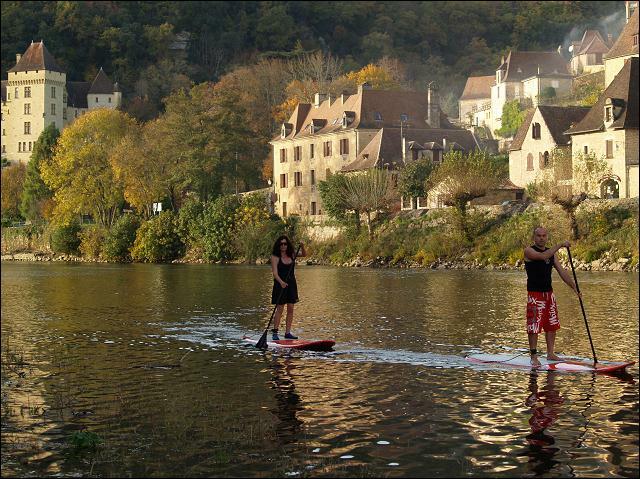 In canoe countryside Stand Up Paddle Perigord opened the first Stand Up Paddle School/rental in France on river. We are located in Cenac & St Julien in the heart of the Black Perigord, on the Dordogne river. We propose a beginners program as an introduction to Stand Up Paddle followed by trips down by the river Dordogne with a guide, passing Middle Age castles. What is Stand Up Paddle? 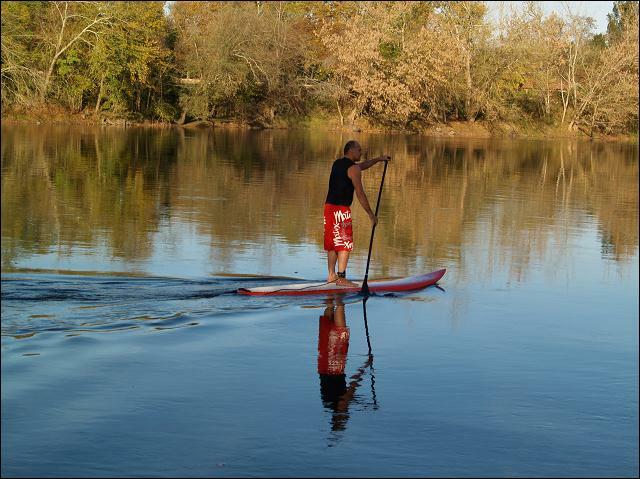 Stand Up Paddle or SUP is a new sport, an outdoor activity born out of Surfing. Riding long, wide and stable Boards with a long paddle. Fun, Easy, Accessible to everyone & it keeps you Fit. – Be able to swim 25m. – Wear your life jacket. – Wear close fitting shoes. – Respect other river users. The board, the paddle, the life jacket, 1 waterproof bag, the insurance RC, an instructor and transfer by bus. This beautiful country house of the 19th century was renovated into a discrete and refined charming hotel. This magic place dominates the valley of the Dordogne in the heart of the Périgord Noir (6 km from Sarlat). The 40 carefully decorated rooms offer an exceptional view. Enjoy the gourmet cuisine of the gastronomic restaurant. The Domaine de Rochebois is simply unique!